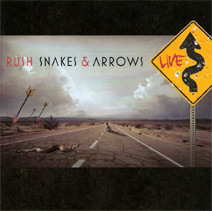 AS THE MELODIES POUR OUT, Rush's double-CD album Snakes & Arrows Live just gets better and better. The first track, Limelight, hits you with a typically-Rush offering and sets the scene brilliantly. Mission is one terrific track and The Main Monkey Business goes delightfully on and on. This is rock that understands you don't have to go too hard to be good. And it's great party music as there's nothing too overpowering here. Recorded last October at the Netherlands' Ahoy Rotterdam arena during the renowned rock trio's lengthy 2007 world tour, Snakes & Arrows Live was mixed by frequent collaborator Richard Chycki (Aerosmith, Mick Jagger) and benefits from tracks such as The Larger Bowl, which has more of a Folk sound with its clear, meaningful vocals and the strikingly-named Grammy Award-nominated track Malignant Narcissism which socks it to the audience with no reserve in the tank. As the boys say, they just can't help themselves  and this is one trip with which you won't be afraid to overdose. Dreamland is a hook for all Rock fans; The Way The Wind Blows is another winner along with the racy Witch Hunt (which definitely packs a punch), Hope, with more Folkish overtones and the manic One Little Victory. Well, maybe a big one! The five-month trek celebrated Rush's acclaimed 2007 studio release, Snakes & Arrows, and the new album Snakes & Arrows Live features an explosive live rendition of Workin' Them Angels  an unbelievably well-presented track, the original version of which can be found on Snakes & Arrows. It impacted at Rock radio outlets nationwide on 10 March. Snakes & Arrows made a triumphant debut on the Billboard 200 upon its release last May, entering the chart in the number 3 spot. The album's popular success marked Rush's highest chart debut since 1993, as well as the group's eleventh top ten album in the US. Snakes & Arrows also debuted at number 3 in the band's native Canada and at number 13 in the UK  the band's highest British chart ranking in 16 years. In addition, the album premiered in the top ten in Sweden and Finland, and in the top twenty in Norway, the Netherlands, and Japan. 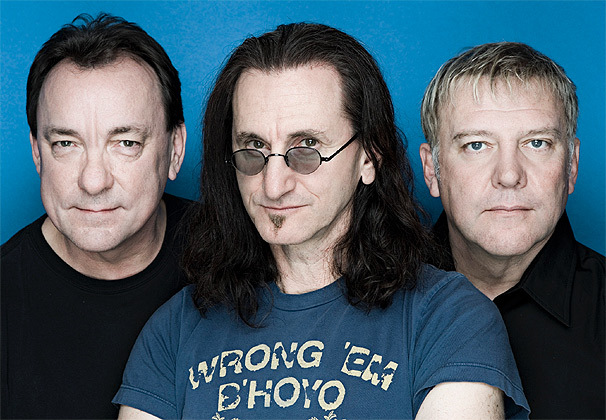 Rush's line-up is Geddy Lee, Alex Lifeson and Neil Peart. With the release of the new Rush live CD there will be another four months of concert dates  an extended schedule that will see the band travelling around North America through mid-July. Produced by Live Nation Global Touring and SRO/Anthem, the 2008 leg of the Snakes & Arrows Live Tour took off on April 11 at San Juan's Coliseo de Puerto Rico and marks Rush's first-ever concert appearance in Puerto Rico. Among the highlights of the 45-city itinerary will be highly-anticipated stops in a number of places where the band has not performed for more than a decade  including Orlando, Oklahoma City, New Orleans, Reno, Moline, Boise, Austin, Jacksonville and Winnipeg. Since releasing their self-titled debut album in 1974, Rush has been universally regarded as one of the most inventive and compelling groups in Rock and is famed for Lee, Lifeson and Peart's virtuoso musicianship. The band's extraordinary body of work  which includes such acclaimed works as 1976's 2112, 1981's Moving Pictures, 1996's Test For Echo and 2002's Vapor Trails  has achieved worldwide sales exceeding 35 million units. Quite a Rush to get to the top!  Anthem/Atlantic recording group Rush is pleased to announce the new album Snakes & Arrows Live, a 2-CD live set recorded during their 2007 World Tour which is available now (released in the UK 14 April, 2008 and in the US on 15 April, 2008). Disc 1: 1 Limelight | 2 Digital Man | 3 Entre Nous | 4 Mission | 5 Freewill | 6 The Main Monkey Business | 7 The Larger Bowl | 8 Secret Touch | 9 Circumstances | 10 Between The Wheels | 11 Dreamline | 12 Far Cry | 13 Workin' Them Angels | 14 Armor And Sword. 12 A Passage To Bangkok | 13 YYZ.